October « 2011 « Central Australian Art Society Inc. 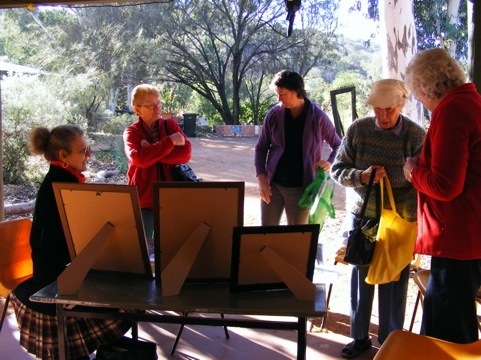 The Roundtuit’s are a group of local Alice Springs people who are finally doing something they have wanted to do for years – paint. Most of the artists have played around with paints for a number of years. Only in the last 12 months have they learned to use watercolor and have put a concentrated effort into producing some wonderful work with the guidance and inspiration of the talented artist Carol Adams.